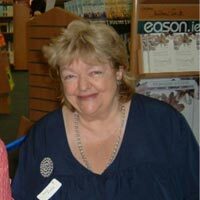 The extraordinary Maeve Binchy passed away on July 30, 2012 at the age of 72. Irish novelist, playwright, short story writer, columnist and speaker; best known for her humourous take on small town life in Ireland. 40 million copies of her books have been enjoyed, but who was Maeve Binchy? What was she really like? To listen to the inside tale of her SolePath, Maeve Binchy on SolePath Discoveries with Dr. Debra.